Is there a better alternative to QuickIconsDemo? Is QuickIconsDemo really the best app in Icons category? Will QuickIconsDemo work good on macOS 10.13.4? 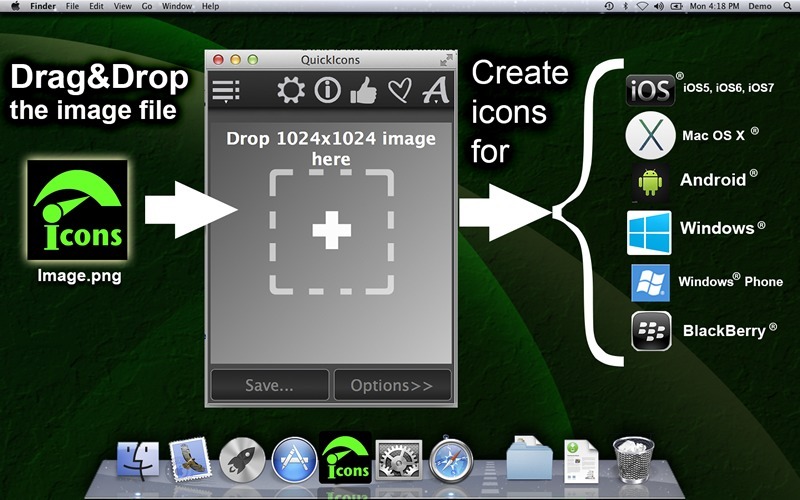 Drag and drop an image to the QuickIconsDemo window, apply the visual effects and final touches and then save the icons for iOS, OS X, Android, Windows, Windows Phone, and BlackBerry. QuickIconsDemo needs a review. Be the first to review this app and get the discussion started! QuickIconsDemo needs a rating. Be the first to rate this app and get the discussion started!